On A Beauty Scale Of 1 To 10 . . . with 10 Being . . . ? Don’t know why it is so difficult, although on the other hand, approaching Limenitis arthemis astyanax usually is fruitless, as they flee, just as you’ve gotten into position to click your shutter button. 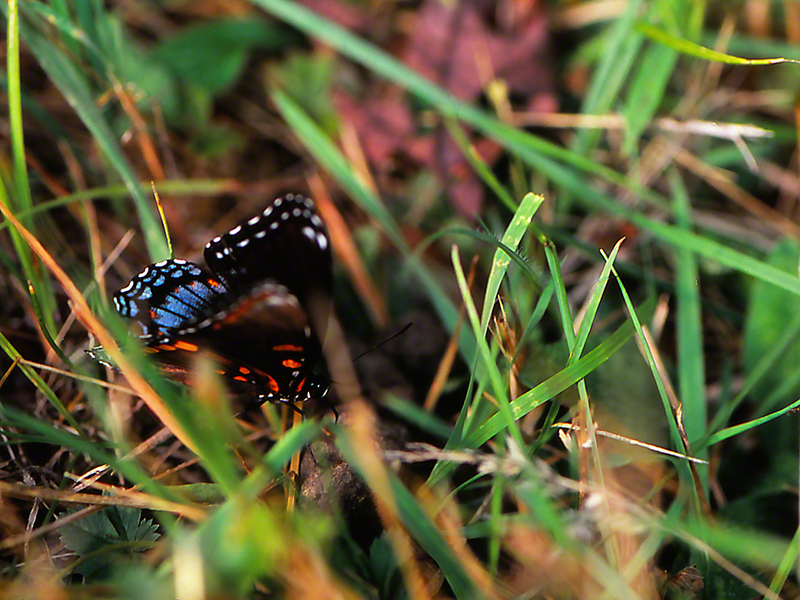 In this instance, our Red-spotted purple feels assured that it is 100% hidden from me, enabling me to set myself and shoot away.